[If Television were ever to appoint an official Archivist, then they could never find a person more qualified for the role than my friend Leo Casey. This website would certainly be less comprehensive than it is without my access to Leo's bottomless filing cabinets and his generosity with his time. I love Marquee Moon and I must have heard it, oh, thousands of times but would I listen to 24 different live versions in a row - of varying sound qualities - armed with only a vat of coffee and a stop-watch? No...no, I don't believe I would. Which is just one of the reasons why I'm happy that Leo's out there chained to his speakers. a large tent set up for an outdoor party, reception, or exhibition. a permanent canopy often of metal or glass projecting over an entrance as of a hotel, or theater. the first half of the title of a guitar-song whose greatness and grandeur words can not convey. Music critic Mark Deming in a discussion of this song has written: “[T]he framework of ‘Marquee Moon’ is rooted in three interwoven rhythm parts -- a double-timed guitar riff that hits on the first and third beats in the left channel, a trilled guitar pattern in the right channel that rides through the third and fourth beats, and a two-note bass riff that surrounds the first and third. Brought together, the three fused into a single melodic pattern that was spare but hypnotic, and strong enough that guitarists Tom Verlaine and Richard Lloyd could veer off into extended solos without the structure falling apart.”. The song ‘Marquee Moon’ evolved from a relatively short four-and-one-half minute rough-hewn version in an early 1974 rehearsal, to a close-to-10-minutes polished studio version in early-1977, and to truly epic, live versions in European concerts in June 1977 that were over 16 minutes long, and one eventually exceeding 21 minutes in length. Depending on where exactly the person, who burns a cd-r of a live show, breaks it up into separate tracks (i.e., where the ‘cue points’ are set), a track containing ‘Marquee Moon’ will usually contain some of the band‘s tuning-up, as well as audience‘s mumblings and cheers both before and after the song itself. Often these non-song parts of a track can be quite lengthy, e.g., several minutes both before and after the song, making the track considerably longer than just the song itself. So, in looking for candidates for the longest live versions of ‘Marquee Moon’, one can not go by a bootleg's artwork on track length or by comments by Seeders on DIME because such times are the length of the track and not the length of the just the song itself. E.g., there’s a track containing ‘Marquee Moon’ on the bootleg “ ‘Return Of The Valve Heads’: June 19, 2002, The Meltdown Festival, Queen Elizabeth Hall, South Bank, London, England—BitTorrent/DIME Version And Better Sounding Version—DAT ” on which the ‘Marquee Moon’-track is 17:37.8, but only 13:38.2 is just the song ‘Marquee Moon’ itself; 2:41.6 of the 17:37.8 is cheers and clapping for an encore, and 1:17.8 of the 17:37.8 is tuning-up). Thus, in what follows, the lengths of just the song ‘Marquee Moon’ itself (and not the track length) determine which live versions are truly the longest. Most, if not all, of the bootleg recordings that follow were, when necessary, originally speed-corrected by the Television-Group’s web-site, Carried Away, or by DIME (or in a few instances by us); the song-lengths given below for ‘Marquee Moon’ already include any such speed-corrections. It was decided to examine any live version of the song ‘Marquee Moon’ that is at least 15-minutes long; of the known live recordings, there exist 24 that meet this criteria. For each digital version, including all of the 24 live versions (and some of the officially released studio versions) below, its song-length was painstakingly measured by playing back its Lossless wav file on Total Recorder—a very accurate audio-playback/record software. Total Recorder was used in its ‘amplitude-spectrum graph’ full-viewing mode together with dedicated ears and eyes, to select the exact position in a track’s ‘amplitude-spectrum graph’ where each song began and the exact position where each ended. Then, its beginning-position was subtracted from its ending-position to accurately measure its song-length to within one-tenth of a sec. The difficulties encountered and methods used to overcome them while determining the exact lengths of these 24 live versions (as well as the 12 officially-released versions) are touched upon later. 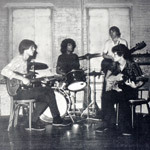 The longest version, “June 4, 1982, The Ritz, NYC”, and the twelfth longest version, “July 2, 1978, The Earth Tavern, Portland, Oregon—‘The BitTorrent/DaD Mix’”, are broken-out in considerable detail, but the other 15 Verlaine Band versions have somewhat similar characteristics to the June 4, 1982 version, and the other 7 Television versions have somewhat similar characteristics to the July 2, 1978 version. Television versions are marked with a double asterisk, **.